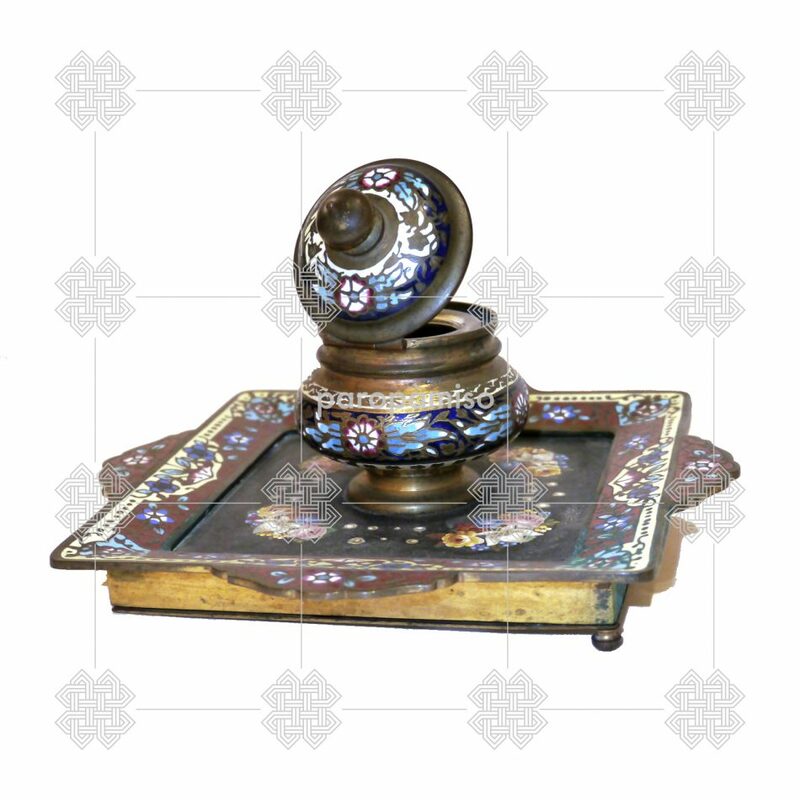 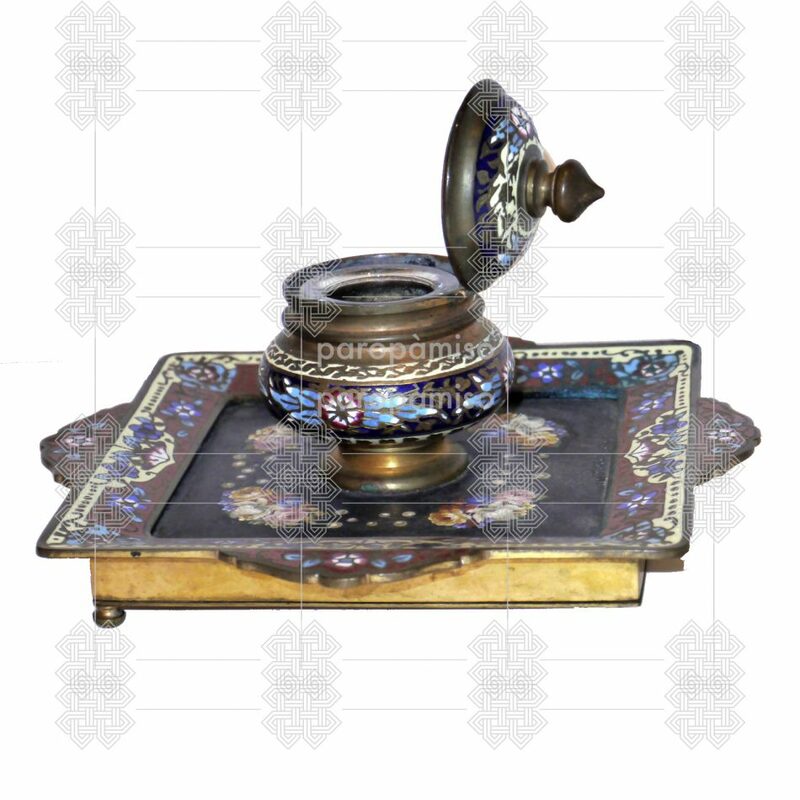 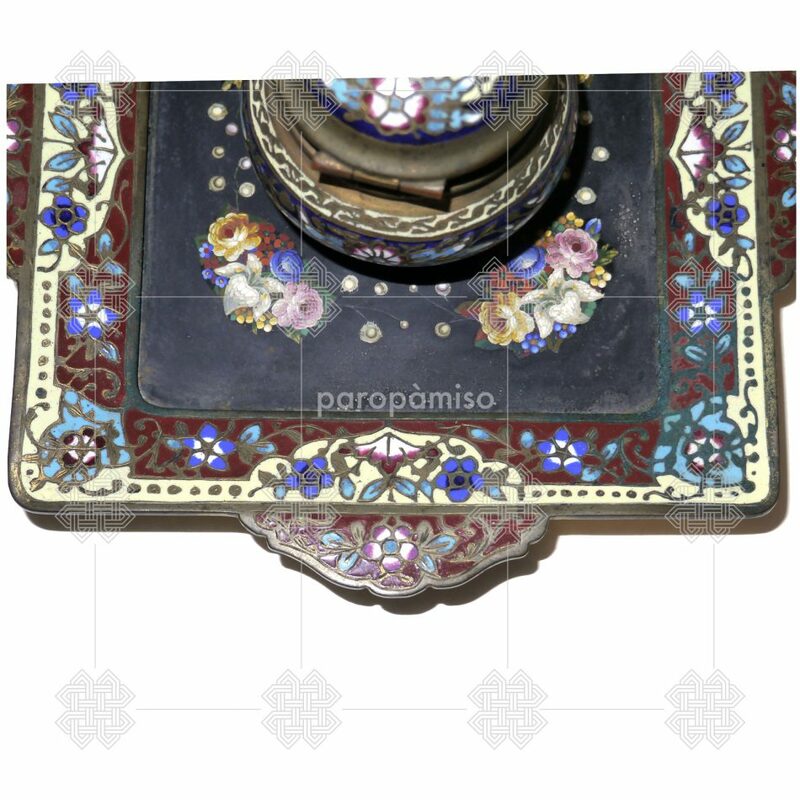 Well preserved French inkpot, second half of 19th century (2nd Empire Style), decorated with champlevé technique. 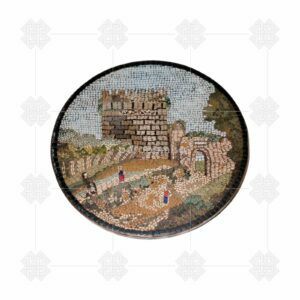 It is embroidered with four, one at each corner, floreal compositions in micro mosaics . 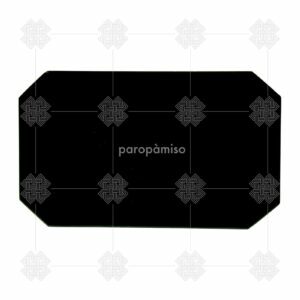 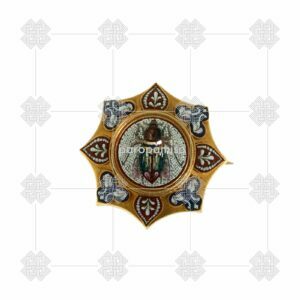 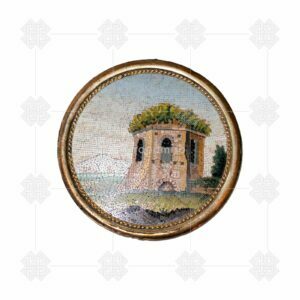 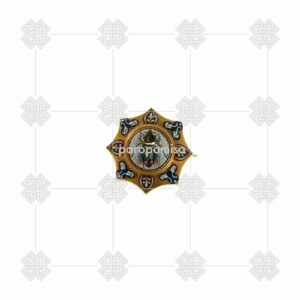 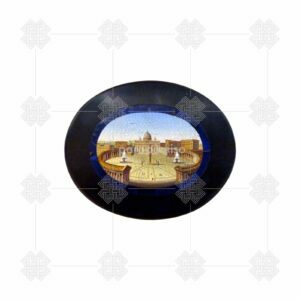 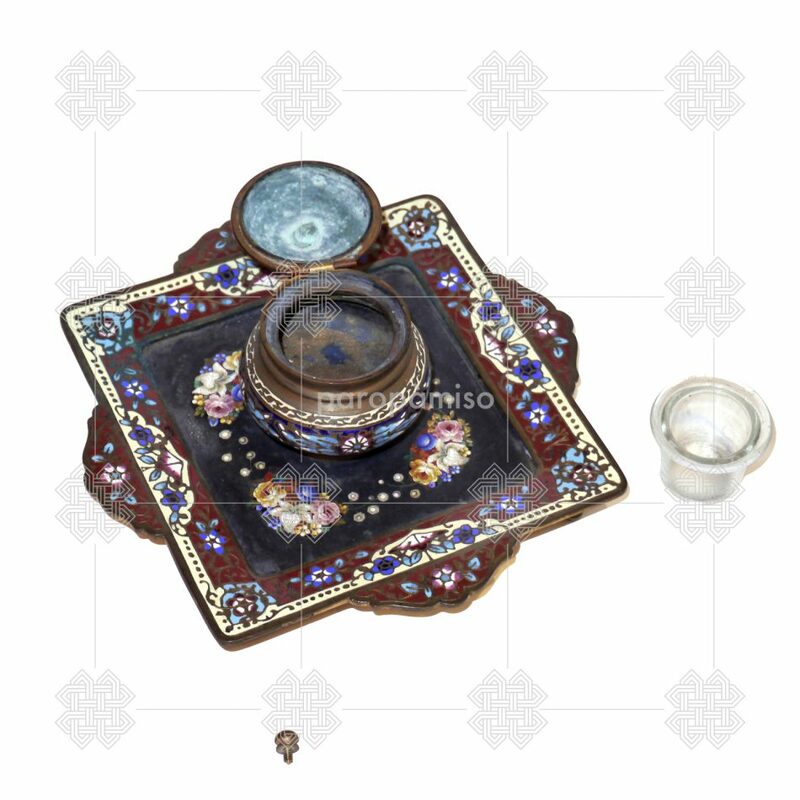 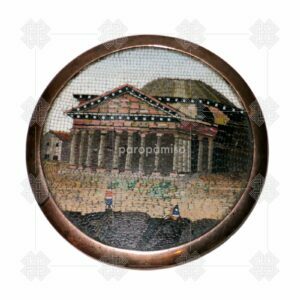 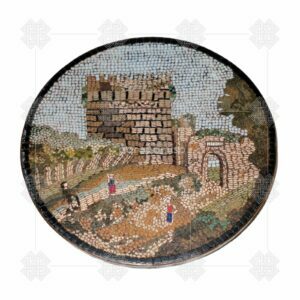 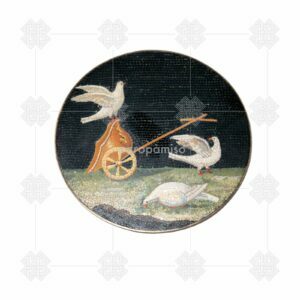 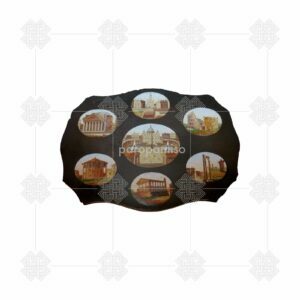 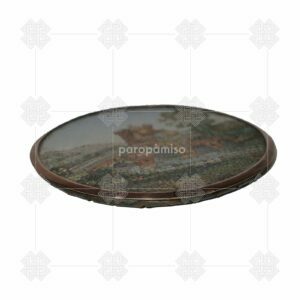 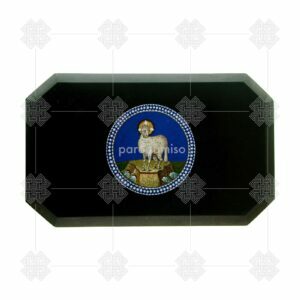 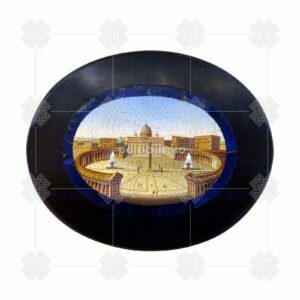 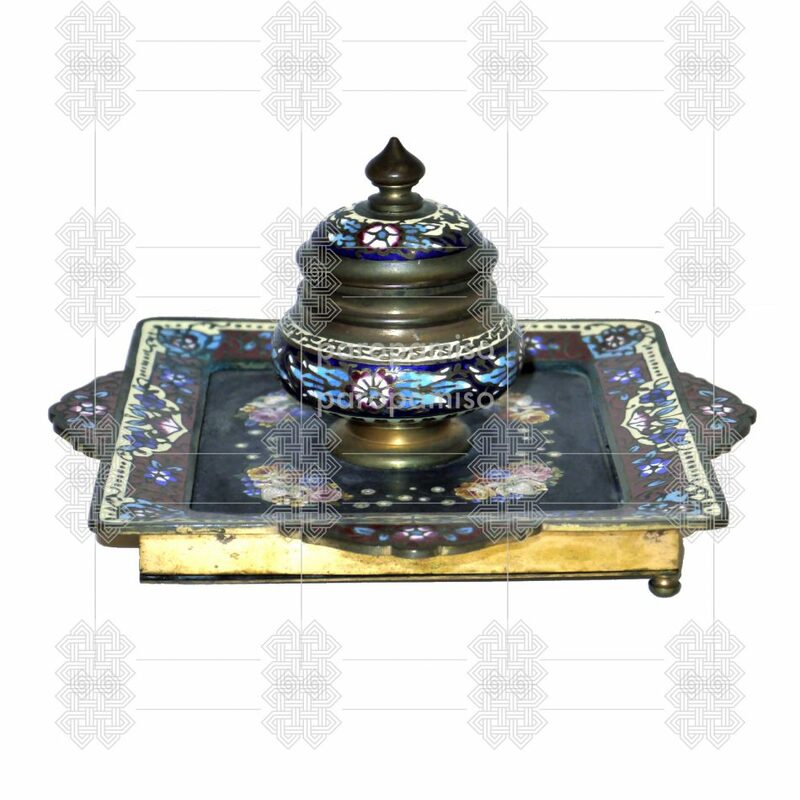 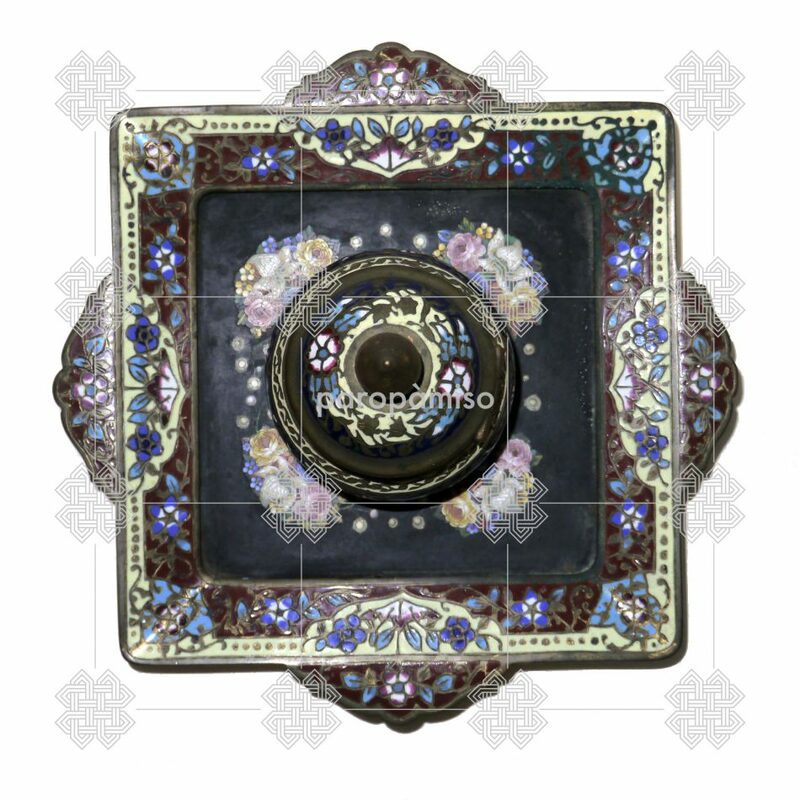 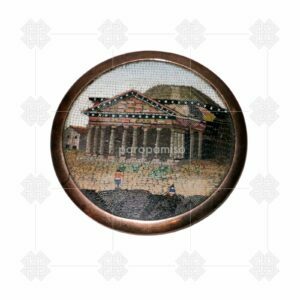 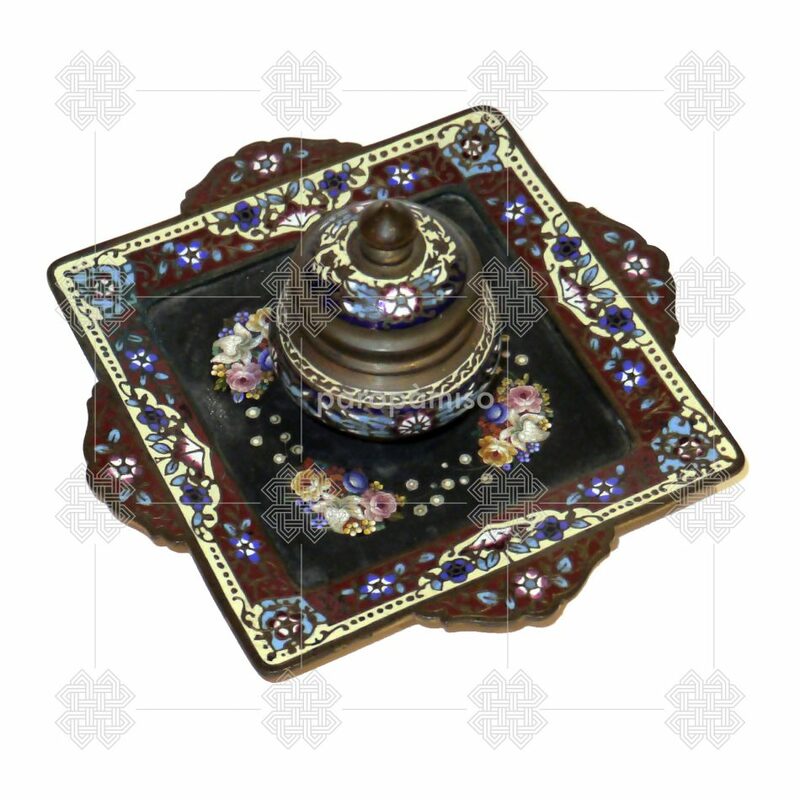 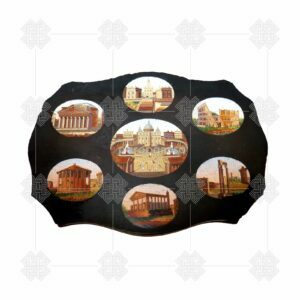 The micro mosaics are of fine quality, and were surely made in Rome, their style is unmistakable. 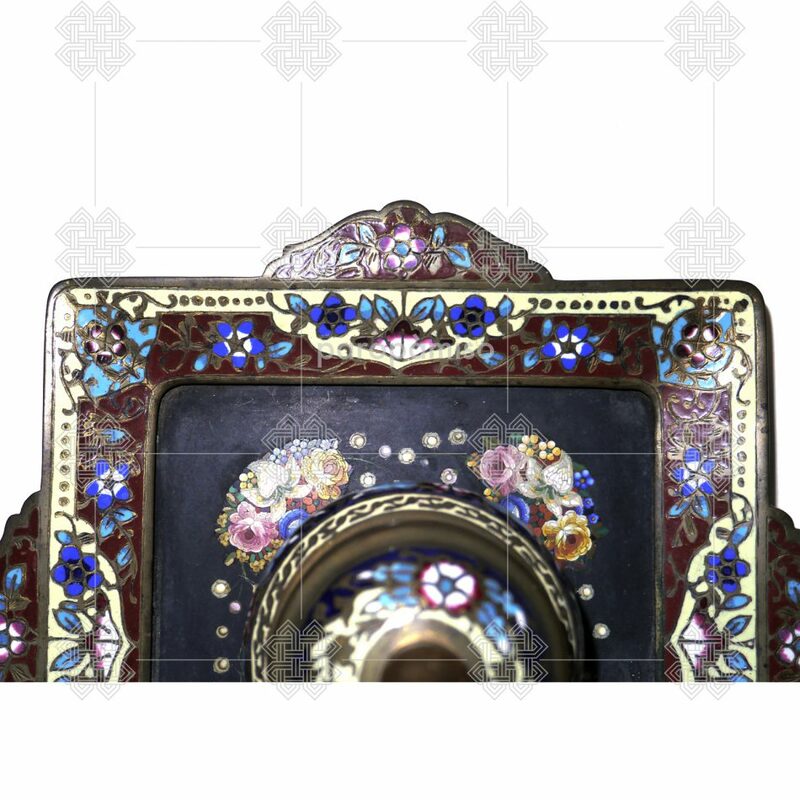 It has the glass ink holder that goes inside the central boule, but misses one of the four brass little foot. 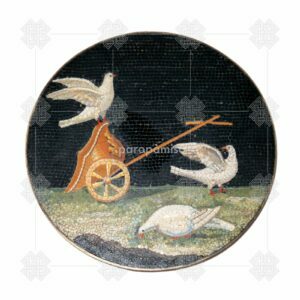 Size: 15,5cm. 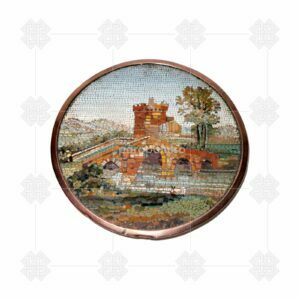 x 15,5cm. 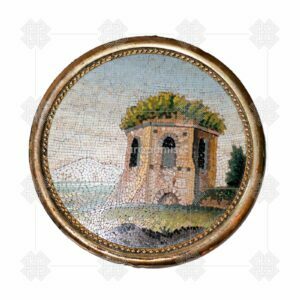 x h.10,5cm.